FREE 1-Year ELLE Magazine Subscription! 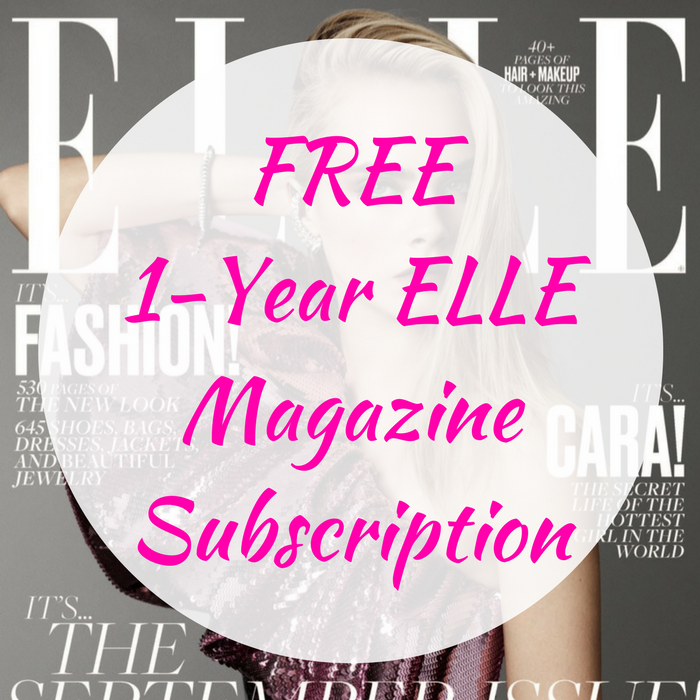 You are here: Home / FREEbies / FREE 1-Year ELLE Magazine Subscription! Do you love magazines? Hurry and score a FREE 1-Year Elle Magazine Subscription by just simply filling out the short form here! No credit card information needed! Please allow 6-10 weeks for delivery of your first issue! Nice!